It’s often said that Tax Day is, for many, our least-favorite day of the year. If finances and employment are stressful for you on a regular basis, then it makes sense that you’re not a fan of the one day in the year that shines a big, unforgiving spotlight on those very issues. In fact, 69% of us blame our stress on financial issues, and 65% of us blame it on our jobs. So really, for many people Tax Day is like the equivalent of a root canal, flu shot, and food poisoning all in one day. Given the subsequent anxiety and tension that often comes from this day, there’s a decent chance that at this very moment you could use some ideas for healthy ways to manage your stress. Stop stress responses in their tracks. 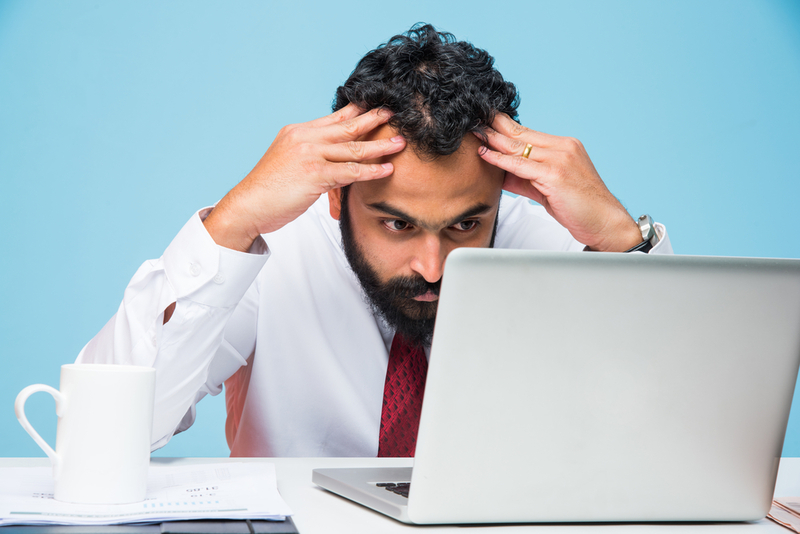 Recognize how you tend to process stress, ideally before it hits head-on. If you often resort to binge behavior like overeating, drinking too much, or smoking, try to consciously derail those behaviors by not allowing yourself to purchase your vises, and letting your loved ones know what you’re trying to stay away from. Be intentional about putting healthier stress-busting practices into place before the stressful moments set in. For example, set up regular walking or running dates with a friend, or regular appointments with your massage therapist. Find the reason underneath. What is it that gets you worked up about Tax Day? Is it the worry about not having enough money? Is it anxiety about not being organized enough? Make an ongoing commitment all year long to set yourself up for success. Treat yourself to a new receipt organizer, or an appointment with a financial planner to discuss how much of your income needs to be squirrelled away so you don’t owe anything come April 15th. Grade your stress. Do you have actual, concrete reasons to stress, or are they cases of the “what-ifs”? Centuries ago, Michel De Montaigne famously said, “My life has been filled with terrible misfortune; most of which never happened.” While this quote has made people chuckle over the centuries, excessive worry is no laughing matter. Worry has actually been linked to a greater tendency toward dementia, lower IQ, premature aging, and shrinking brain mass. Plus, it can put strain on your relationships. If your stressors are more abstract than in-front-of-your-face reality, say a hearty adios and focus on the issues, and the blessings, in your life right now. Tax Day stress doesn’t have to be inevitable. Make a commitment to yourself now to be straight-A-student prepared for next year, with receipts and paperwork in order. For now, get some stress-managing techniques in place, pronto. One of the most effective ways to battle stress right away is with an appointment at Elements. With your YOUtopia program, you can let your massage therapist know that you’re stressed, and where you’re feeling tension, and then simply lie on the table and let him or her do the rest. Tax Day is a reality, but it doesn’t have to get the best of you.